>Raw Edge Industrial Solutions Pvt. Ltd. Raw Edge Industrial Solutions Pvt. Ltd. - Wholesale Supplier of calcined magnesite powder, cement clinker & fly ash in Surat, Gujarat. Our company is supplier of pure and high quality Calcined Magnesite Powder that is white in colour. We package Calcined Magnesite Powder in 25 or 50 Kg HDPE bag that ensures its safe delivery. We are offering following grade clinker into AAC block units & other small manufacturing companies with door to door logistic service at best competitive rate. Fly ash is a super fine volcanic ash, grey coloured and amorphous glass powder generated from the gases of burning coal during the production of electricity. These micron-sized earth elements consist primarily of silica, alumina and iron. Almost being spherical in shape, they flow and blend freely in mixtures. That capability is one of the properties making fly ash a desirable admixture for concrete. The most prestigious projects of recent times have relied on Fly Ash concrete, including high-rise structures, dams, roads, nuclear power stations, bridges and tunnel. Thus, making it ecofriendly. 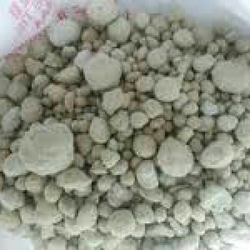 Mineral Admixture in concrete has two designations for Fly Ash used in concrete - Class F and Class C.
Class F Fly Ash is normally produced from burning anthracite or bituminous coal that meets the applicable requirements. This class of Fly Ash has Pozzolanic properties and will have a minimum silica dioxide plus aluminium oxide plus iron oxide of 70%. When a wall is constructed with brick or block, they are finished with a coat of plaster which is called internal plastering. Internal plastering has traditionally been done through a process of sand-cement plastering finished with POP pruning. This is a two stage process and involves multiple elements like sand, cement and water which is mixed onsite. This form of plastering is being slowly replaced by a direct single coat application of gypsum plaster. So, gypsum plaster is actually a replacement of two processes i.e. sand cement plastering & POP punning. Gypsum plaster is produced as a result of calcinations of the raw gypsum in an automatic kettle under controlled temperature. Dolomite was named for the French mineralogist Deodat de Dolomieu. The mineral dolomite is commonly found in deposits of a sedimentary rock called dolostone. There are two types of materials often called dolomite, a true chemically uniform calcium magnesium carbonate with the chemical formula CaMg(CO3)2, and a dolomitic limestone, which is just an irregular mixture of calcium and magnesium carbonates. 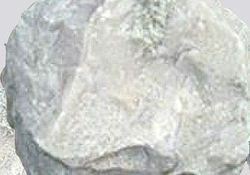 Dolomite is believed to have formed by replacement of some of the calcium in a calcium carbonate limestone deposit with magnesium, while the sediment was undergoing lithification, being converted from layers of dead clam and other sea animal shells into crystallized calcite or calcium carbonate. The resultant dolomite mineral, CaMg (CO3)2 is a true double salt. The calcium and magnesium ions in dolomite exist in separate layers in the crystal matrix. Dolomite has a calcium layer, then a carbonate layer, then a magnesium layer then a carbonate layer, and so on. The Limestone Powder finds usage in various Industries like Power and Heat generating industry, Construction industry, Glass-making and Fodder industry, etc. The Limestone Powder provided by us is very well accepted all around, particularly because of its varied use and top quality. The parent rock for quartzite is quartz-rich sandstone. 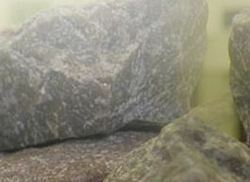 As sandstone becomes deeply buried, rising temperature will fuse the quartz grains together forming the extremely hard and weather-resistant rock quartzite. Like marble, quartzite comes in many colours, but when pure it is light-coloured. Quartzite tends to have a sugary appearance, and when broken the fractures cut through the sand grains, not around them as with a sandstone. Quicklime is a Calcium oxide formed by calcining calcium carbonate (lime stone) so that carbon dioxide is liberated. Quicklime is also called as burnt lime, handpicked lime, calcining lime, lump lime or caustic lime. A caustic substance that is prepared by burning calcium carbonate lime stone at approximately 900 degree Celsius, at this high temperatures carbon dioxide is driven off and the lime Stone is converted to Quicklime. A chemical compound with formula (CaO) it is a whitish, odourless alkaline substance, which does not dissolve well in water. It can be used as a lining material. Major use is in various industrial processes like metal smelting, paper bleaching, sulphur neutralization in sugar and so many. 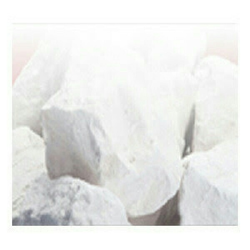 We are one of the reputed manufacturers of Quick Lime powder in Surat, Gujarat. We offer best quality Quick Lime powder, which is tested for quality, purity. Processed from best quality raw limestone, using latest technology and high tech machinery, our Quick Lime has been in growing demand in markets across Gujarat. Our lime has firmly established us among the top Quick Lime Manufacturers and Suppliers from Surat. 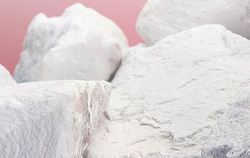 We ensure that the Qucik Lime Powder maintains its properties until the same is delivered to the customers plant by covering it with two layers of tarpoline during transportation. Also to ensure that there is no pilferage during transit, we transport it in a sealed state; if the seal is broken during transit the customer can know the same. Used in the chemical industries and road construction for soil stabilization. Other uses include : Water treatment, Sugar refining, De hairing of hides and Lime washing. Ball clay is a rare mineral found in very few places around the world. The name of “Washed Ball Clay” refers to the type of clay having high plasticity and which is rich in organic matter mainly consisting of unprocessed Kaolin. It also is sometimes referred to as plastic clay. Ball clays are sedimentary in origin. 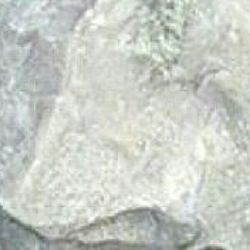 Ancient rivers and streams washed kaolinite (formed from decomposed granite) from its parent rock. As the streams flowed from upland area they mixed with other clay minerals, sands, gravels and vegetation before settling in low-lying basins to form overlaying seams of ball clay. Ball clays usually contain three dominant minerals: from 20-80% kaolinite, 10-25% mica, and 6-65% quartz. In addition, there are other 'accessory' minerals and some carbonaceous material (derived from ancient plants) present. Ceramics, Sanitary-ware, Tableware, Wall and floor tiles, Glazes, Refractory clays, Construction ceramics, Electrical porcelain insulators, and also as fillers and extenders in polymers, adhesives, plastics, sealants, fertilizers and insecticides. Plaster of Paris is made up from gypsum. Plaster of Paris contains the calcium sulfate hemihydrates (CaSO4·0.5 H2O). This is prepared by heating the gypsum which contains calcium sulfate dihydrate (CaSO4·2H2O) to a temperature about 150oC (120-180oC). Certain additives are added when heating. Plaster of Paris is a fine, white powder. When it is hydrated it can be used to mould things, and when allowed to dry, it hardens and retains the shape it is set to before drying. Silica sand is one of the most common varieties of sand found in the world. It is used for a wide range of applications. Silica sand is used in industrial processing, to make glass, as fill, and to create moulds and castings. The most common mineral in the Earth’s continental crust is quartz, and most silica sand is made up of broken down quartz crystals. Silica is another name for silicon dioxide, SiO2, of which quartz is a specific latticed structure. So silica sand is quartz that over the years, through the work of water and wind, has been broken down into tiny granules. These granules can be used for many different purposes, and can be found in most non-tropical regions of the world. Silica sand is used throughout the world in many different ways such as water filtration, glass manufacture, industrial casting, sand blasting, producing concrete, adding texture to slick roads. One of the major uses of silica sand in the modern world is as an ingredient in industrial concrete. Silica sand produces the bulk of a great deal of concrete, although some concrete bypasses its use for safety and strength reasons.